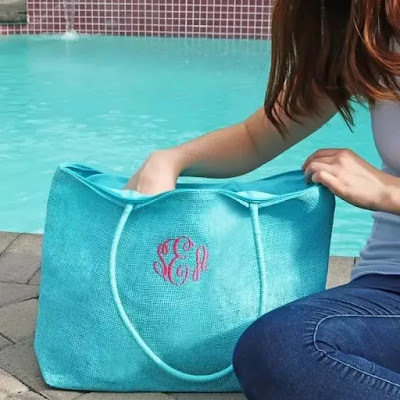 Head over to get one of these Monogram Burlap Fully Lined Totes for ONLY $8.99 (Retail $25.99)! Grab your Krafty Chix EXCLUSIVE! You can't find this gorgeous tote anywhere else!! We know you gals will love KC's summer tote is now offered in 11 colors. This is the perfect tote for spring and summer! Grab yours today, these won't last long!